Ships today if you order in the next 1 hours 54 minutes. 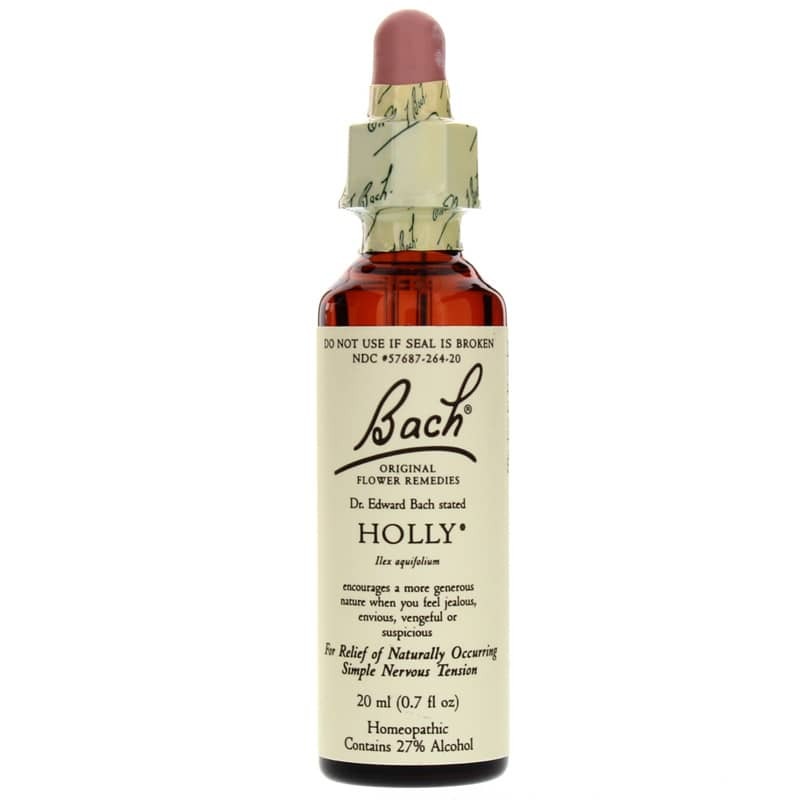 Holly (Ilex aquifolium) Flower Essence by Bach Original Flower Essences is a flower essence that encourages a more generous nature when you feel jealous, envious, vengeful or suspicious. 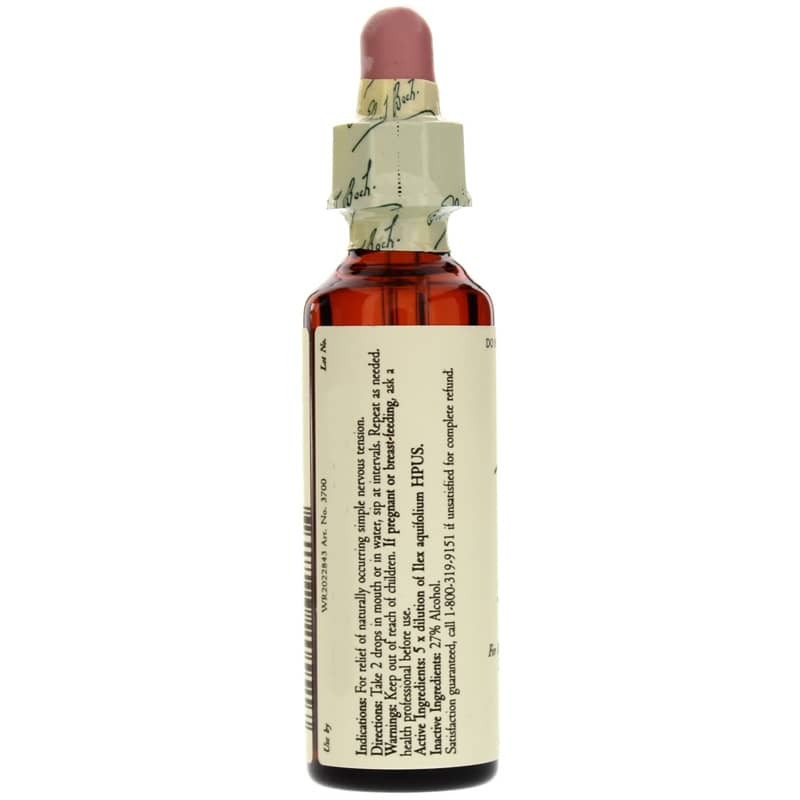 Adults: 2 drops in water and sip at intervals or add to a 30ml mixing bottle containing water. Take 4 drops a minimum of 4 times a day.